O Ait Sahel, I Ghfir, H Guerrouj, Y Benameur, N Benraiss. Adenoid cystic carcinoma (ACC), the second most common cancer occurring in the sinonasal tract, is an aggressive malignancy that presents itself insidiously and is generally advanced when diagnosed. Current treatment modalities include surgery and irradiation. Despite advanced successful therapies, these tumours are notoriously associated with locoregional recurrences. This report presents the original case of a patient with adenoid cystic carcinoma of the maxillary sinus with an unusual clinical course and a thoracic vertebral metastases, with spinal cord compression revealed by a bone scan, occurring only nine months after stopping treatment. The aggressive nature of the tumour and the skull base invasion at the time of diagnosis probably explains the rapid onset of this unusual site of metastases. O Ait Sahel, I Ghfir, H Guerrouj, Y Benameur, N Benraiss. Unusual spinal metastases from an adenoid cystic carcinoma of the maxillary sinus seen on a bone scan: a case report. Pak J Nucl Med. 2016; 6(1): 48-52. O Ait Sahel, I Ghfir, H Guerrouj, Y Benameur, N Benraiss. Unusual spinal metastases from an adenoid cystic carcinoma of the maxillary sinus seen on a bone scan: a case report. http://www.pjnmed.com/?mno=284593 [Access: April 22, 2019]. O Ait Sahel, I Ghfir, H Guerrouj, Y Benameur, N Benraiss. Unusual spinal metastases from an adenoid cystic carcinoma of the maxillary sinus seen on a bone scan: a case report. Pak J Nucl Med. (2016), [cited April 22, 2019]; 6(1): 48-52. O Ait Sahel, I Ghfir, H Guerrouj, Y Benameur, N Benraiss (2016) Unusual spinal metastases from an adenoid cystic carcinoma of the maxillary sinus seen on a bone scan: a case report. Pak J Nucl Med, 6 (1), 48-52. O Ait Sahel, I Ghfir, H Guerrouj, Y Benameur, N Benraiss. 2016. Unusual spinal metastases from an adenoid cystic carcinoma of the maxillary sinus seen on a bone scan: a case report. Pakistan Journal of Nuclear Medicine, 6 (1), 48-52. O Ait Sahel, I Ghfir, H Guerrouj, Y Benameur, N Benraiss. "Unusual spinal metastases from an adenoid cystic carcinoma of the maxillary sinus seen on a bone scan: a case report." Pakistan Journal of Nuclear Medicine 6 (2016), 48-52. O Ait Sahel, I Ghfir, H Guerrouj, Y Benameur, N Benraiss. "Unusual spinal metastases from an adenoid cystic carcinoma of the maxillary sinus seen on a bone scan: a case report." 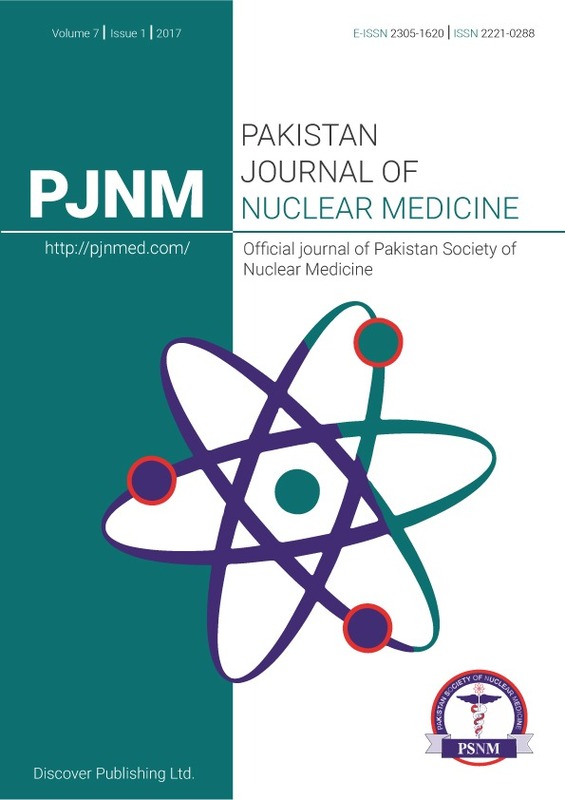 Pakistan Journal of Nuclear Medicine 6.1 (2016), 48-52. Print. O Ait Sahel, I Ghfir, H Guerrouj, Y Benameur, N Benraiss (2016) Unusual spinal metastases from an adenoid cystic carcinoma of the maxillary sinus seen on a bone scan: a case report. Pakistan Journal of Nuclear Medicine, 6 (1), 48-52.